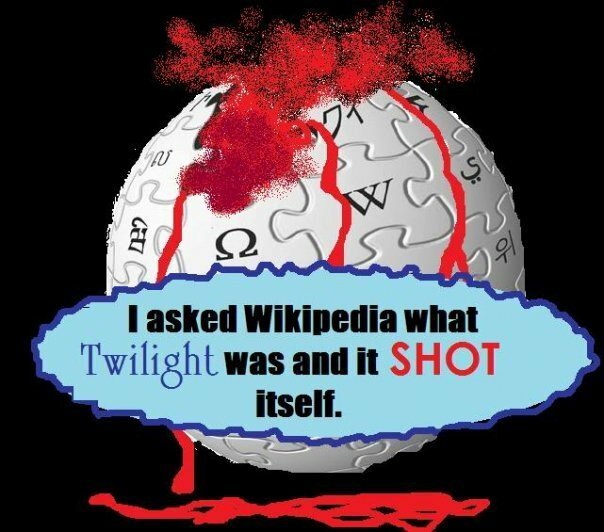 Requiem for Wikipedia :(. . Wallpaper and background images in the Critical Analysis of Twilight club tagged: twilight suicidal wikipedia what is twilight? funny anti. Darn, now I can't do my homework with that. What a shame.